Chelsea Loanee Ola Aina is rated as doubtful For Torino's upcoming game at Cagliari which corresponds to the thirteenth round of matches in the Italian Serie A. 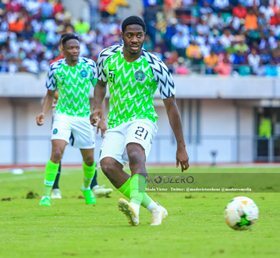 The versatile fullback suffered a right foot injury while on international duty with the Super Eagles which ruled him out of both games against South Africa and Uganda. Although Torino had some good news about Aina's injury upon his arrival in Italy, it appears Monday night's clash at Sardegna Arena (Cagliari) has come too soon for him. In the event that he fails a fitness test on Sunday, the Nigeria international will not be named in the match day squad against the Rossoblu. Since joining on loan from Chelsea in August 2018, Aina has been included in all the match day squads by manager Walter Mazzarri, starting eight games and coming off the bench in three. Torino are tenth in the standings with seventeen points and have lost only three matches so far this season.